Your Old Unwanted can get you up to $7000 Cash For Scrap Cars on the Same day in any Sydney Suburb! If you’re searching for ways to somehow get rid of your Scrap car for some cash in Sydney, you’ve come at the right place. We are the biggest and busiest old car buyers in Sydney that regularly pay cash up to $7000 for all types of junk cars, vans, trucks, utes, bikes, jeeps, SUV’s, 4wds, 4×4. You can trust us for all types of scrap car removals in the city. We always pay the HIGHEST POSSIBLE PRICE for scrap car removals and do not charge any towing fee. We do all this process on the same day! Usually Scrap cars are worthless as they fail to clear ROAD WORTHY and cannot meet new safety and environmental standards. Therefore, authorities tax them heavily mainly to force owners to upgrade to newer models that are more fuel efficient and green. Not long ago, when repairs for old cars became more expensive than their actual worth, you had no option but to pay huge towing fee for its to be taken off hands. Aside from paying a huge fee for junking your car, you also had to properly transport it to your nearest Sydney scrap yard. Another option was to junk the car or any other vehicle yourself to a junk yard situated miles away from your place. Once it was junked, you had to arrange transportation back home. So this “scrapping the old unwanted car” business was indeed quite expensive and tiring for vehicle owners. Not to mention the huge emotional cost of seeing your old vehicle getting junked. Another option was to maintain your old car at a huge insurance premium, repairs and taxes. Now you can simple call us for scrap car removals anywhere in Sydney. Our team has many dedicated drivers that have access to necessary tools and equipment and large and medium tow trucks to carry our removal within hours from any Sydney suburb. In fact, our scrap car removals team even purchases trucks, jeeps or cars torn to pieces and can remove them FAST at no extra cost to you. Scrap car removals is good for environment if it’s done properly. Doing it wrong can cause more harm than good. For instance, old rusted vehicles contain so many pollutants like oil, gasoline, and highly toxic air conditioning gases. If they are not disposed off properly it can damage our fragile environment. We’re open 24 hours a day, 7 days a week, throughout the year to ensure SPEEDY scrap car removals. So we are in a position to offer scrap car removals anytime convenient to you. Another specialty of our car removal service is free towing and express same day service. We ensure easy and safe unwanted car removal that removes all hassles of removing junk cars. of entire fleet of old trucks at TOP RATES. We ca purchase entire fleet and make payment right at your door. We always pay you the quoted price and never haggle over terms or conditions. You also won’t have to pay even a dime as towing charges. If you own trucks that are in terrible condition and want to somehow sell them, we can definitely buy them for cash. Junked, old and tired, collision, rusted, damaged, or in a perfect working condition, we buy them. We even buy old farm trucks and pay BEST EVER PRICE for them. You can find more information on this topic on our website. Irrespective of the model of your car or any other vehicle, we will definitely buy it fast and will pay you the promised cash on the spot. We usually prefer models such as BMW, Toyota, Mercedes, Nissan, Mitsubishi, Landrover, Suzuki, and Honda. Even if you want to sell us some obscure and rusted vehicle for cash, we can still buy it at a good price. Just get in touch with us for a FREE no obligation quote. 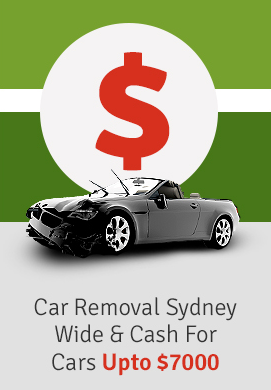 Metro Car Removal offer top Scrap Car Removal service Sydney Wide.